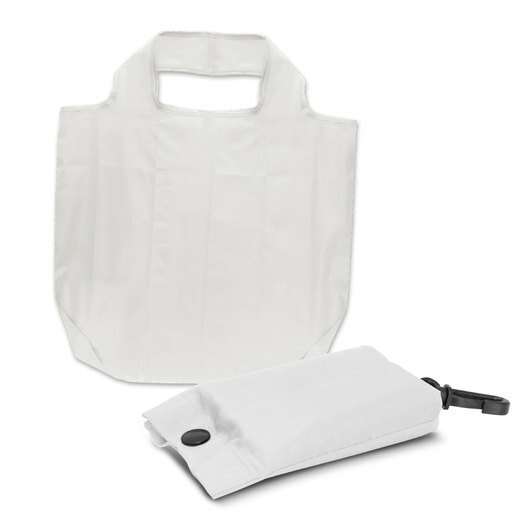 A promotional tote bag that folds away to a compact size when not in use! Be responsible and save space while doing it with these practical fold-away shopping bags! 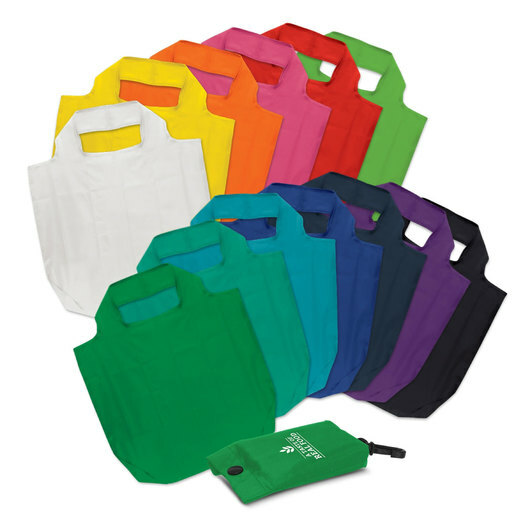 These bags come in a fantastic range of colours and feature a print of your logo on the carry pouch. 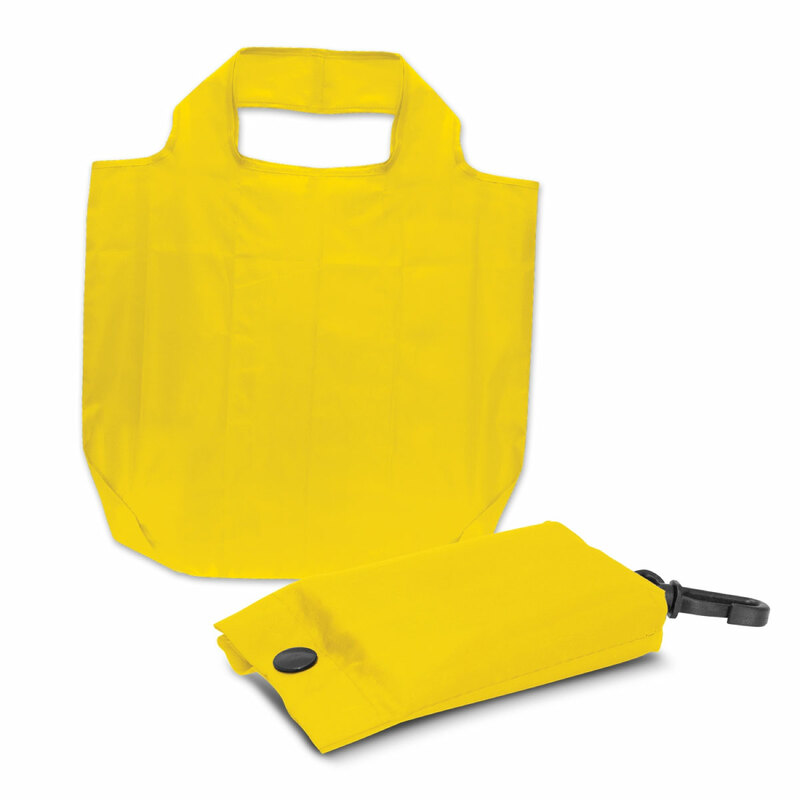 The bag is lightweight yet surprisingly strong with a strong 190T polyester build. 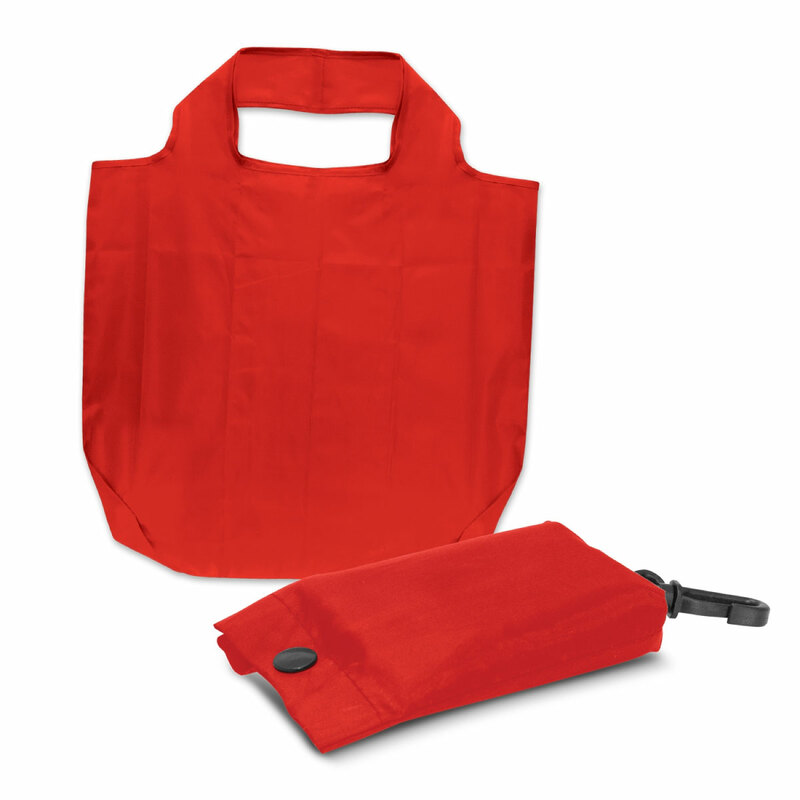 Great for shopping trips and when your done can easily be folded away with the carry pouch with dome closure and carry clip. Because of it's size and practicality, these is the choice for a promotional tote!